We're happy to introduce the next guest in BookLikes' Author Talks. 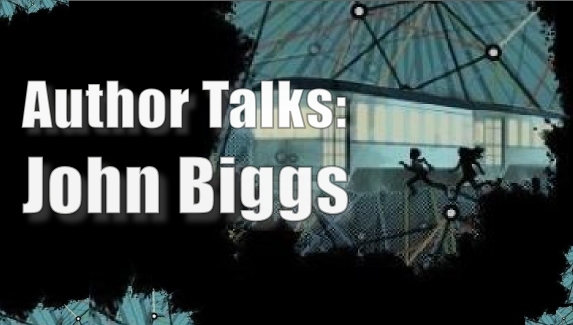 John Biggs author of the YA novel Mytro agreed to talk to us about his recently published novel, he reveals how a journalist becomes a writer, and how to use crowdfunding to publish a book. You can meet and follow John Biggs on BookLikes where he shares his reading and writing passion on blog: John Biggs. 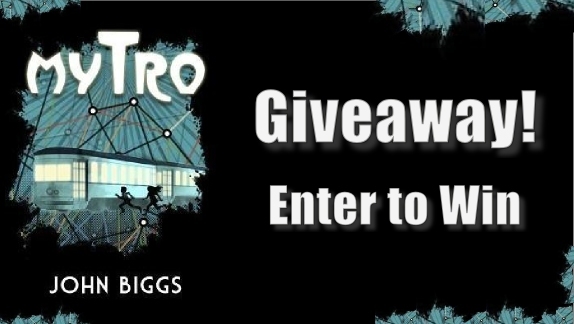 Plus: you can win Mytro on BookLikes. Read on to know more. You’re a busy man, a tech enthusiast, a full­-time journalist, writer at TechCrunch, speaker, blogger, and now a writer. What inspired you to start writing a fiction novel? I love writing and I love sharing my writing. Journalism is a sprint, but a long fiction book is a marathon. Both have their benefits but, as I get older, I feel the marathon is more rewarding. So I'm trying my hardest to train, write, and build a body of work of which I can be proud. Is it difficult for a journalist to become an author of a fiction? I don't know. I think so. I think the fact that I wrote 10,105 posts on TechCrunch over the past few years is good practice. I've been writing a few thousand words a day for years. It's great experience and it helps with my discipline. It's exhausting, though, and wouldn't recommend it unless you really love to write. Recently, you’ve published your first YA novel Mytro. How did the idea of Mytro appear in your head? I was traveling in Spain a few years ago and we were in the Retiro Park. It's a beautiful old park on a set of rolling hills surrounded by beautiful old homes (at least that's how I remember it.) We were walking there and passed by a statue of a falling - or fallen - angel. I read the inscription and it turns out it was the only statue of Lucifer ever commissioned for public viewing. It was a chilling sight and I imagined what would be under the statue - a cave, a doorway, a subway station? Suddenly, the name Mytro popped into my head and I fell in love with the idea. It took years for the whole thing to truly gel but once it did all the pieces fell into place. Tell us something about Mytro. Why Young Adult? Are action and adventure your fav subjects for your novels? I wanted to give something to my kids. 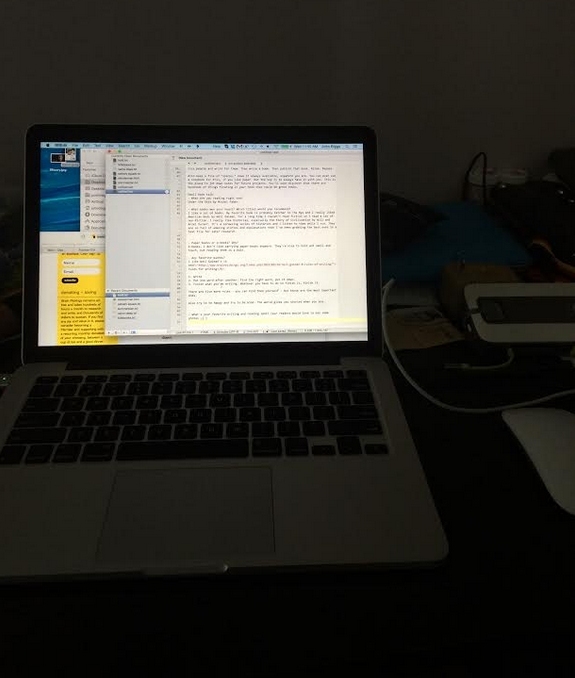 I've been writing for adults - tech nerds, really - for a almost 15 years. Now I wanted to write something for the coolest readers in my life - my eight year old, my five year old, and my two year old. So they, and the rest of the world, got Mytro. You’ve decided to try crowdfunding for Mytro. The book is out so we know it went well. Can you tell our readers more about the process and the outcome. I was very lucky. 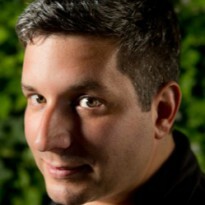 I had good friends at Indiegogo and lots of great readers on TechCrunch. They helped push the funding way past my goal. I also learned how to lay out and publish my own ebooks and paperbacks. That was a hard job. Building a book is amazingly messy and frustrating. But it can be done. I also learned that schedules slip and I feel bad that a lot of my readers are waiting for the 3D printed trains I promised. They'll be getting them soon! I swear! Would you recommend publishing books with crowdfunding? What are the pros and cons? I would, if you have an audience. If you don't you'll probably be disappointed. I think, in order, you should first get really good at writing. Then try to find an agent. If you don't like the publishing world, do it yourself on Kindle, and finally crowdfund once you're popular. Crowdfunding is a very powerful engine but there's nothing like seeing your donations come up zero at the end of the day. In your opinion, is crowdfunding the future of the publishing, an answer / complement to self-­publishing? It's a complement. It's not quite the future unless we're talking about paper books and especially artistic or difficult books that require resources. I could see, for example, crowdfunding a very complex book about history or politics as well as a detailed autobiography. I could also see crowdfunding a travel book. Why do publishers pay advances? To cover expenses. That's why, if you don't get a good advance, you can lose money writing a book. It's awful. Can you reveal to our readers what are you working on right now? I'm working on a New York fantasy called More Gods Than Men and a mystery about a Polish tailor called The Tailor of Optimist Street. When I'm done with those, I have to finish the Mytro trilogy. I sit down and I write. I try to write at least 1,000 words of fiction a day, sometimes more. There is no secret to it. You make the time and you do it. It's like asking how a marathon runner trains - she doesn't, she just runs every day, without fail, and knows that if she stops she'll suffer for it. Always be writing. Get your stuff out there. Put it on a blog. Don't get confused by social media. Social media is useless. It doesn't help you sell anything nor does it help you gain a following. I've had people with a million Twitter followers mention me on the Internet and it got me absolutely zero in return. Gain a following on a site frequented by nice people and write for them. Then write a book. Then publish that book. Rinse. Repeat. Use Scrivener to write. It's an app for long-form writers. It helps immensely when you're building a story. Also keep a file of "sparks." Have it always available, anywhere you are. You can even use a notebook for this, if you like paper. But the key is to always have it with you. This is the place to jot down notes for future projects. You'll soon discover that there are hundreds of things floating in your head that could be great books. What books won your heart? Which titles would you recommend? I like a lot of books. My favorite book is probably Catcher In The Rye and I really liked American Gods by Neil Gaiman. For a long time I couldn't read fiction so I read a lot of non-fiction. I really like histories, especially the Story of Civilization by Will and Ariel Durant. It's a sprawling series of histories and I listen to them while I run. They are so full of amazing stories and explanations that I've been grabbing the best ones in a text file for later research. Paper books or e­books? Why? E-books. I don't like carrying paper books anymore. They're nice to hold and smell and touch, but reading them is a pain. There are five more rules - you can find them yourself - but those are the most important ones. Also try to be happy and try to be kind. The world gives you stories when you are. What's your favorite writing and reading spot? Anywhere my computer is. I have a nice attic space at home in Brooklyn where I can stand and walk on a treadmill but I travel so much that I'm rarely there in the summer. And I tend to read on planes or in bed. This is my space right now in Warsaw. It is an absolute mess, which is just how I like it! Thank you, John. It was a real pleasure.